Yes, I saw the ABC Nightline special on David Guetta that’s circulating around social media. Yes, I heard the reporter call Guetta the “grandfather of electronic dance music.” Yes, I laughed a little at first. 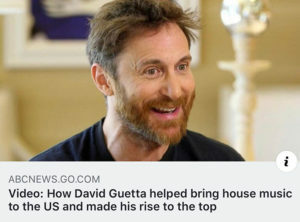 I figured Guetta was doing what any artist does when trying to sell an album – the absolute most to grab people’s attention. Obviously I wasn’t in the room. Maybe parts of Guetta’s interview was edited out, or possibly taken out of context altogether. But what I do know is that Guetta hasn’t denied the title or tried to correct the reporter. So take that as you will. The real question here is this: What is electronic dance music? Because, if you want to get technical, most of today’s music is electronic dance music. It’s all made with drum machines and synthesizers. One of the most popular genres worldwide is hip hop, though, no artist in that genre would ever let you refer to their music as electronic dance music. So why should we sit back and watch the mainstream media fuel this a Eurocentric origin story for a style of music that’s so obviously rooted in Chicago house? 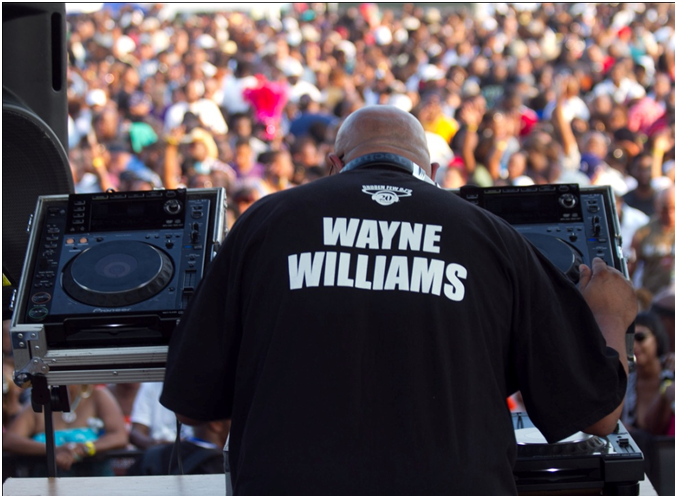 We all know that house music started on Chicago’s South Side in the mid 1970s. It started with Black teenagers like myself who were too young to get into the club. So we created our own scene – throwing parties at schools and in our parents’ basements. Me personally, I got into spots like Den One, Jeffrey’s Pub and Dingbats. I studied gay Black pioneers like Ron Hardy and Craig Cannon. For hours, I watched them blend song after song, urban disco jams like Love Committee’s “Just as Long As I Got You” and Willie Hutch’s “Brother’s Gonna Work It Out,” using a mixer and two turntables. That was years before The Warehouse (formerly at 206 S. Jefferson Street) started popping with Frankie Knuckles in the late 1970s. And, it was about a decade before my brother Jesse Saunders made “On and On,” the song that turned house music into the world-renown genre it is today. Unfortunately, though, it’s so easy for outsiders to erase Black Chicago from house music’s beginnings because the city – as a whole – didn’t get behind the genre early on. Take hip hop, for example. When DJ Kool Herc, Afrika Bambaataa and other early pioneers coined their music “rap/hip hop,” the city embraced it. Their songs were played on the radio. Publicists latched on, taking the genre to magazines and newspapers inside and outside of New York City. It truly became a phenomenon that everyone wanted to be a part of. That didn’t happen in Chicago. Here, house music was seen as a urban thing. So no one wrote about us in the major newspapers. It wasn’t heavily played on the radio. It mostly lived in the bars, clubs, and houses where urban folks gathered to party – that is, until European artists got wind of our tracks and took it overseas. Today, house music brings in millions of dollars worldwide. So who is the grandfather of electronic dance music? There isn’t one. EDM is a made-up term to give a poppier, more commercial-sounding style of house music a new origin story. In Chicago, however, house music is a feeling. It’s inspirational. It’s love. It’s soul. So until our story is properly documented, and understood around the world, our Chicago story will forever be left out of the larger narrative of house music.